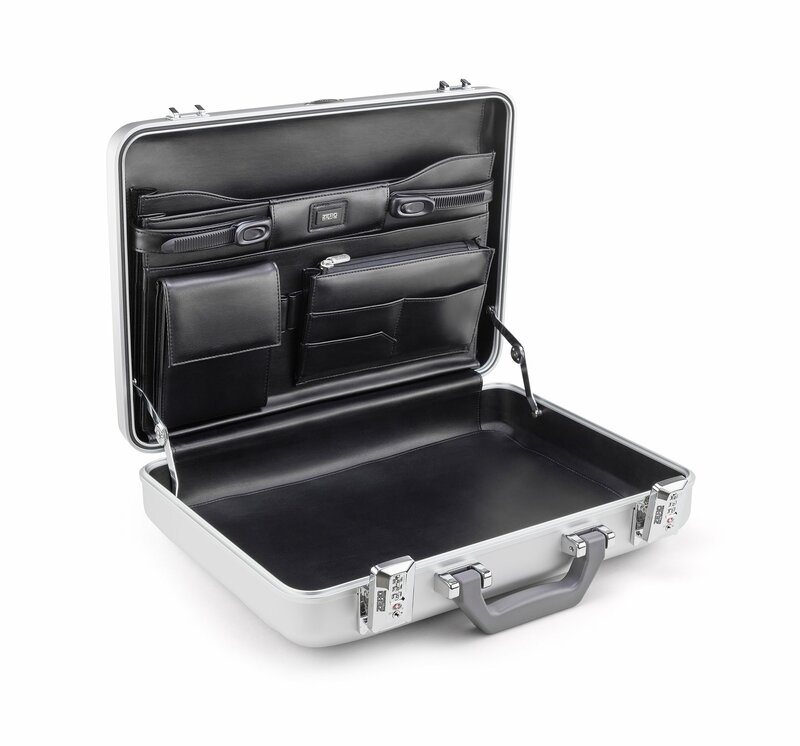 With a nod to classic style combined with the best of modern security, the well-appointed Premier Aluminum Attaché cases make business a pleasure. 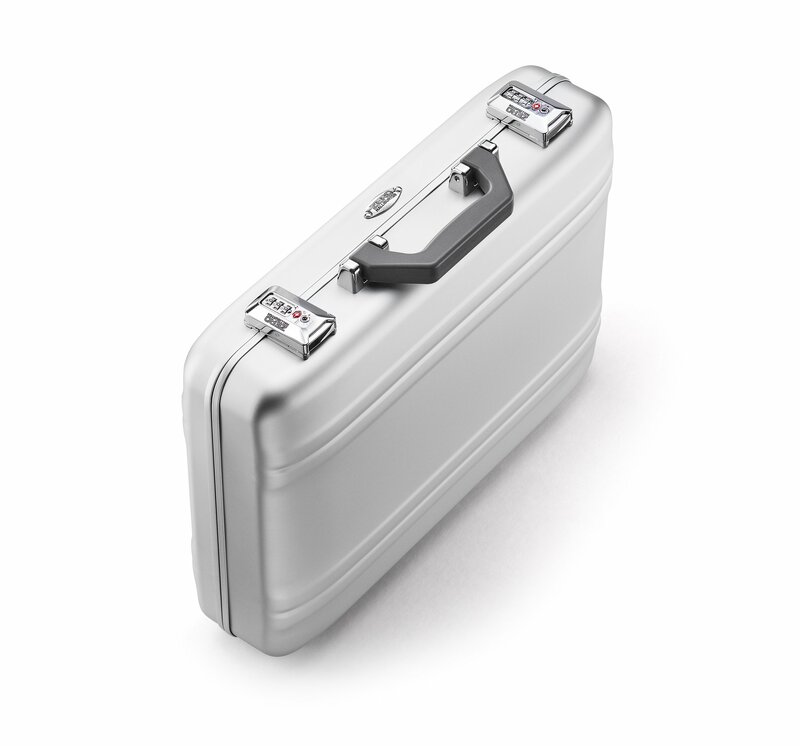 Elegant yet robust, the 4-inch Premier Plus Aluminum Attaché case lets the world know that you mean business. 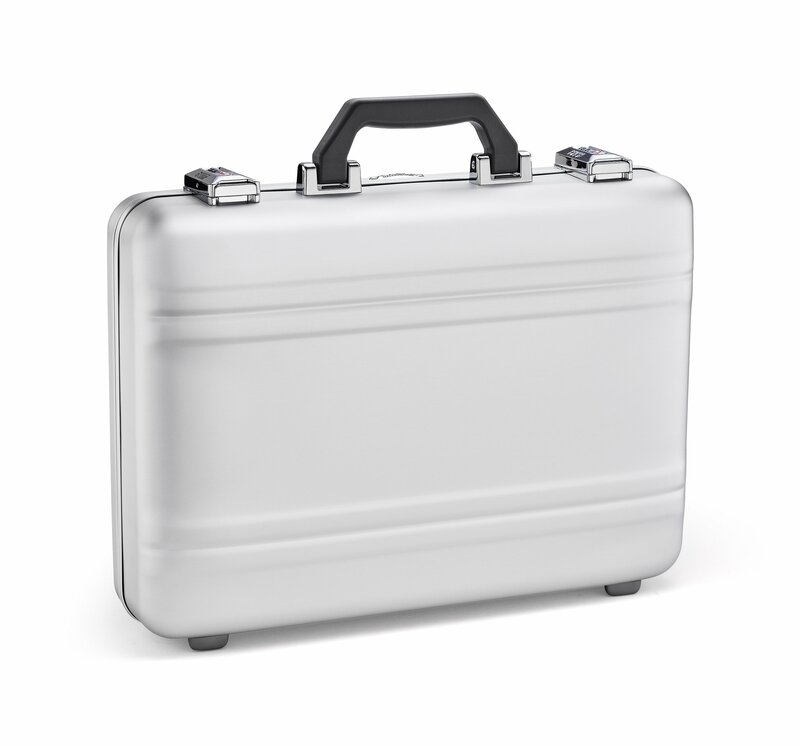 Featuring Zero Halliburton’s iconic double-ribbed design on a sleek, silver anodized aluminum exterior and lined with special synthetic leather created to resist scratches, The Premier Attaché performs as well on the inside as it does on the outside. 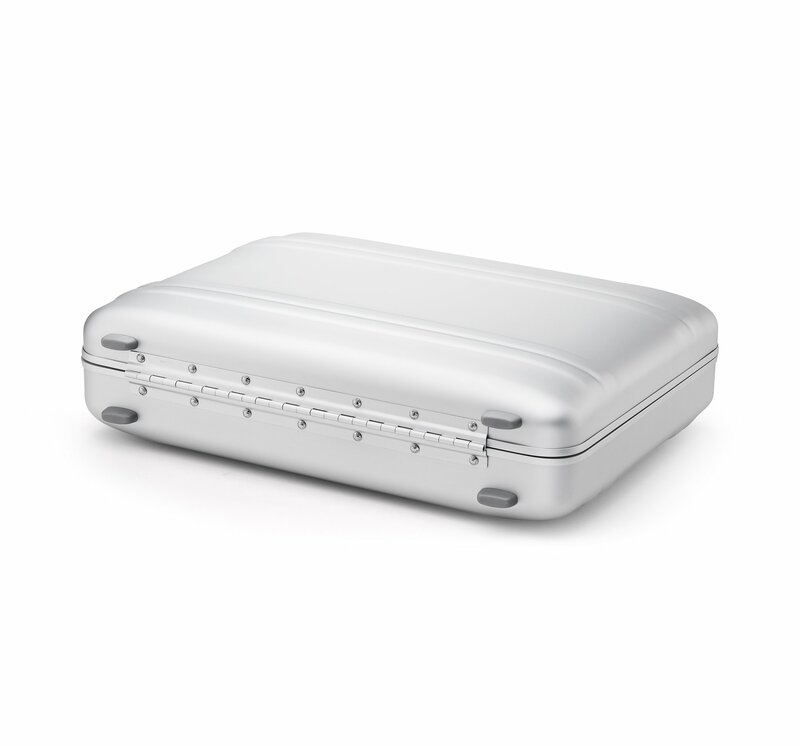 Its custom-designed draw-bolt latches with TSA-Accepted Combination Locks ensure the ultimate security for professional pursuits – wherever they may be.